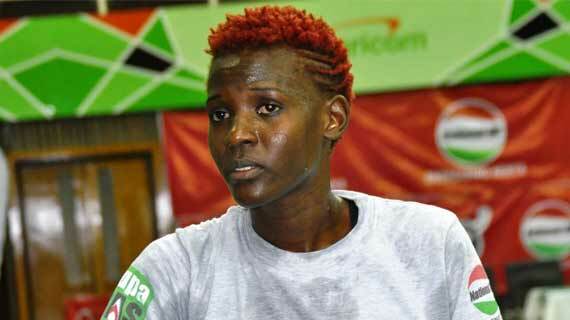 Kenya Pipeline Middle Blocker Triza Atuka is relishing her chance at her continental stab after making the final cut into David Lungaho’s 12 that will represent Kenya at the Afcon 2015 Starting this Friday 4 pm at Safaricom Indoor Arena. This will be the second outing for the Mukumu Girls Alumni with the National team having made her debut early this year in Uganda helping Kenya to qualify for All African Games. “Am excited at this opportunity and I am glad to be playing alongside experienced Players. I am learning a lot and to me this is just the beginning. Every individual always has a dream and vision this is not my ultimate but the beginning of my journey to my Ultimate destination.” She said. “It has been a long journey, my coaches have played a big role in my development and I thank God for this opportunity and it’s now not up to me because the stage is set. I will take it one game at a time but make sure I work hard so that I open more doors for other talented young Kenyans to be given an opportunity.” She added. She is confident that Kenya will put up a good performance during the African Championships that starts this weekend in Nairobi at Kasarani. “The team spirit is good, we are focused on the championship and all our eyes are on the prize we are going in as a team and when called upon I will play my part.” She concludes.